What is the secret of Kelly Marie Tran's space jewelry? Kelly Marie Tran drops hints about her 'Last Jedi' character. 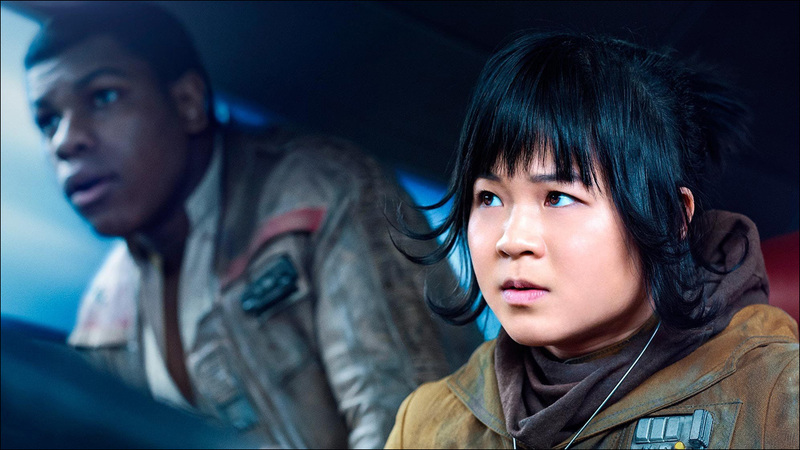 As you know, we are hyped as hell for Kelly Marie Tran's role as Rose Tico in the upcoming new Star Wars movie. So we're pouncing on every little Rose-related morsel of story details, marketing and merchandising in the run up to The Last Jedi's release next month. The latest visual clue: space jewelry. Entertainment Weekly's Holiday Movie Preview has dropped some more information about Rose, including the above image of Tran and John Boyega's Finn piloting a craft to the interstellar casino city of Canto Bight. 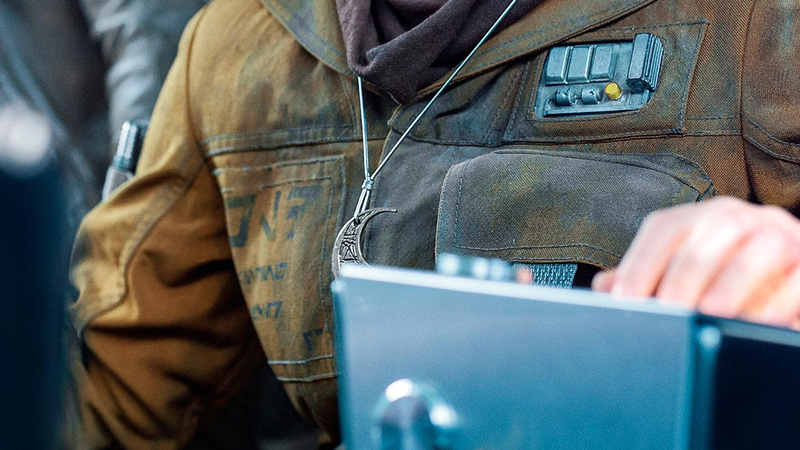 We already know that Rose is no-nonsense maintenance tech who usually works in the background of the Resistance, but finds herself caught up in a dangerous adventure with Finn. Tran offers some more details about her character, her background and what she brings to their mission in a galaxy far, far away. "The journey that she and Finn go seems pretty impossible, you can tell in this moment that she's very much aware of the dangers that they are about to face, but she's also logically in her mind problem-solving on the way," Tran says. She knows exactly, probably, how many things can go wrong in a situation." The new image gives us a decent look at a crescent-shaped necklace that Rose is wearing, and it's not just there for show. Tran says that the distinctive space jewelry is indeed significant to Rose's backstory. "It is an object that she kind of has throughout the film and it is representative of more than the object itself to her," Tran reveals. "So, yeah, that's all I can say. It has significance that is, to me, something that means more than just what the object itself is." What does it mean, Kelly? We'll find out when Star Wars: The Last Jedi hits theaters on December 15.